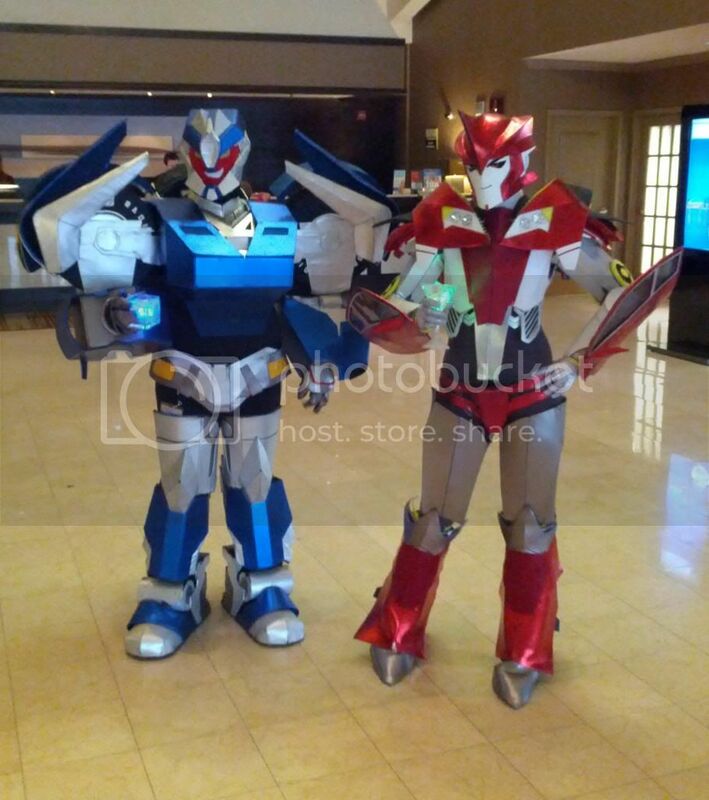 SykoGrafix: Art - Stuff - Ninja Insanity: TFcon 2013 Wrap Up. Finally recovered from TFcon last weekend (and from all that other stuff I was doing leading up to it). It was another excellent show that was tons of fun. Here are just a few of the highlights. There were a lot of costumes this year. 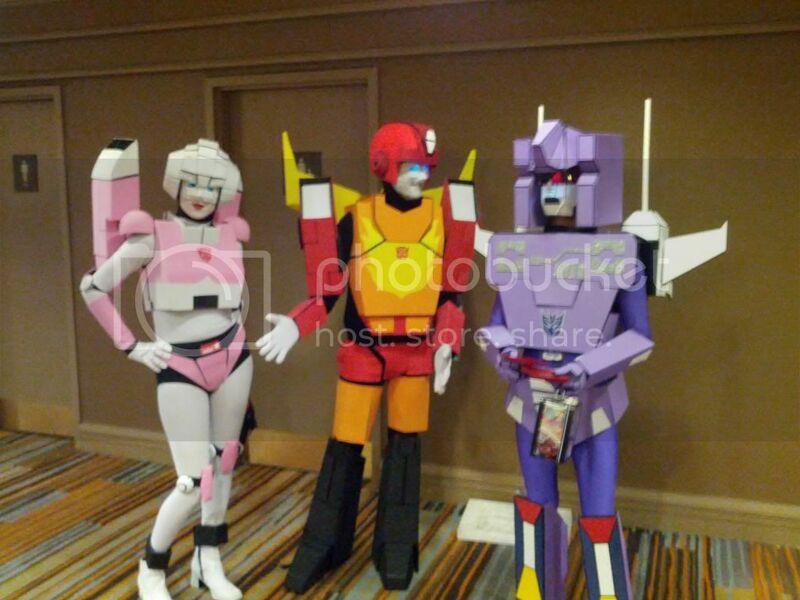 This trio is actually a band that plays Transformers music and they've got a show in Toronto on Fan Expo weekend. Here's my comic projected on the screen for the Script Reading. 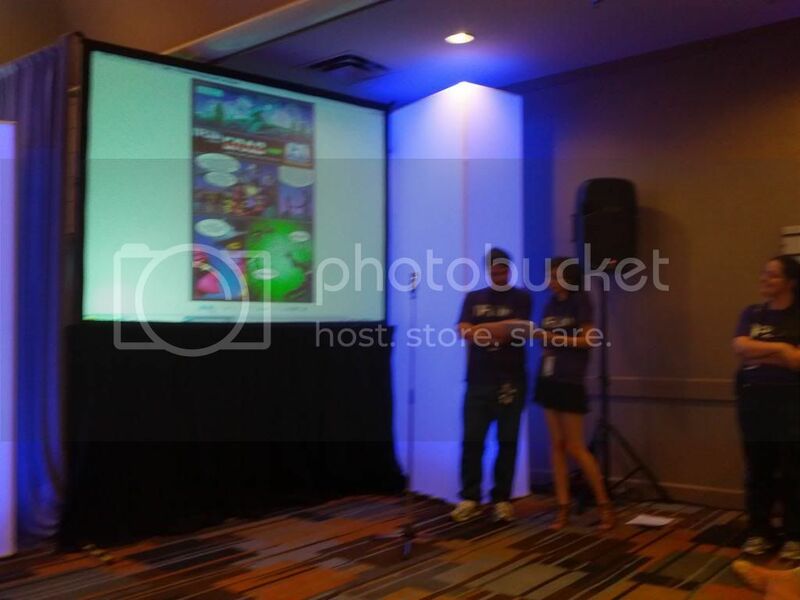 People really dug the comic and were telling me that I did a great job on it all weekend. This will probably be the last time I am able to work on something that extensive for TFcon, so we'll have to see what happens next year. 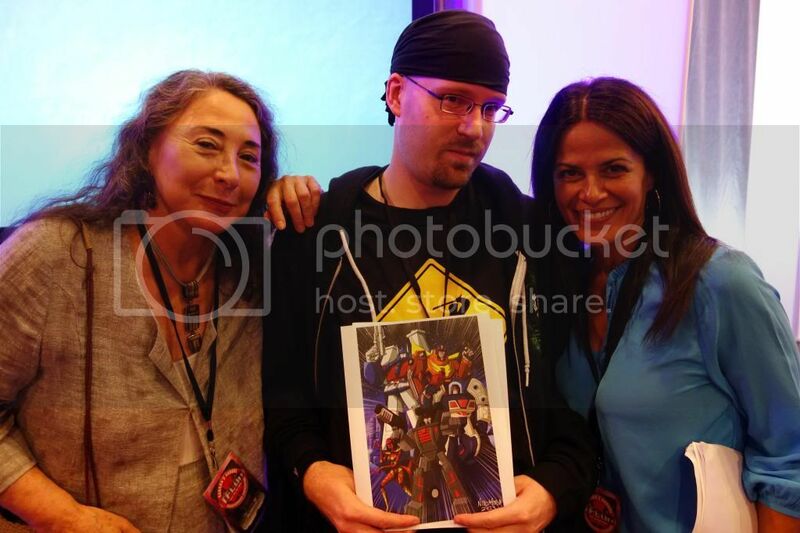 Here I am holding some artwork from the comic along with guests Marilyn Lightstone and Venus Terzo. They both had a great time at the show and were fantastic during their panels and the script reading. 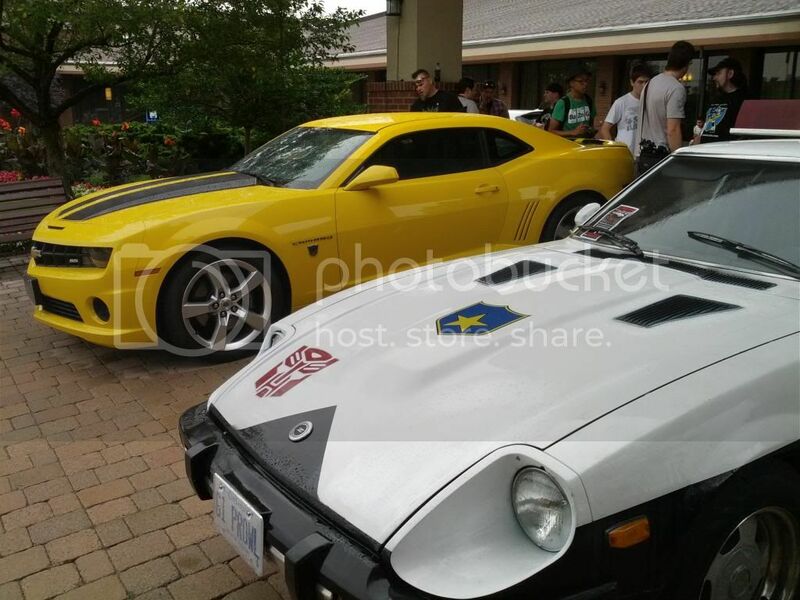 Bumblebee and Prowl were parked outside. Here's Internet Personality Vangelus and everyone's wacky buddy Guber. I am also in there, doing what I do best: filling in the negative space. 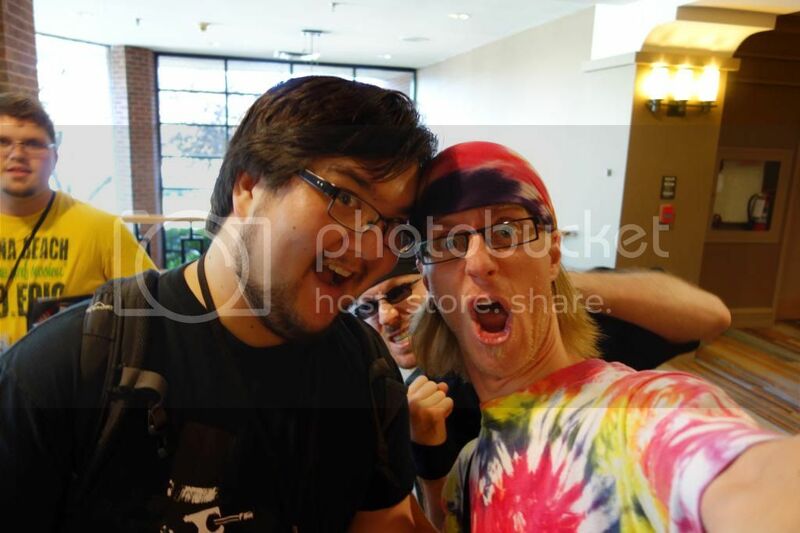 Guber is a staple of TFcon, but he was actually not going to come at all this year as he was traveling in Indonesia. But he changed his mind at the last minute. Only myself and one other person knew that he was actually going to make it, so his appearance was quite a shock! It just would not have been the same without him. Breakdown and Knockout are in the house. 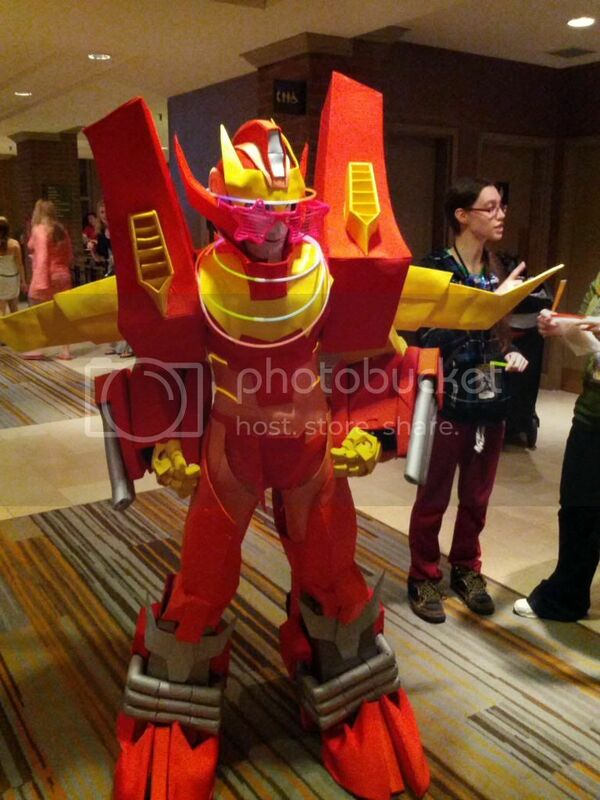 IDW style Rodimus is here and ready to party. Pretty amazing to see so many costumes these days. It doesn't seem like that long ago when Transformers costumes were not even thought to be a possibility. Here's the cool stuff I bought. 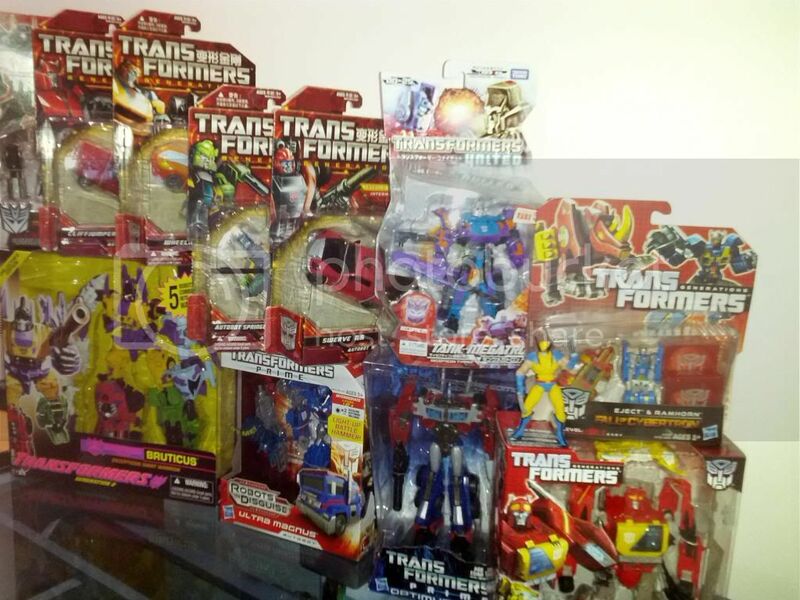 Generations Deluxe Shockwave, Cliffjumper, Wheelie, Springer, Swerve, and Tank Megatron, Generation 2 style Fall of Cybertron Bruticus, Transformers Prime Ultra Magnus and First Edition Optimus Prime, and Generations Blaster along with Eject and Ramhorn to go with him. Also, in the non-Transformers front, I got a Marvel Universe Wolverine figure. Prices were fairly good this year, if you were willing to walk around and look. All in all it was a super-fun weekend with many memories. Good times with good friends, trivia, late night Slurpee runs, poutine, karaoke, and a whole lot more. I wouldn't miss it for the world, and I can't wait for next year. See you then!